Twinkle Twinkle Little Rockstar has just released an album of lullaby covers of Iron Maiden classics. The Factory Records label, pivotal to the Manchester sound, deliver a compilation of dance mixes and rarities. Elvis Costello will release a limited edition live box set from his Wiltern shows earlier this year. The Glee cast will release yet another album in November. ‘Glee: The Music, The Christmas Album Volume 2’ will be the 10th album from the cast of Glee in just three years. On the eve of releasing their Lou Reed collaboration, Metallica reveal they’re already writing and recording. Aerosmith have had to cancel a show in Paraguay after singer Steven Tyler fell in the shower and smashed his face and broke his teeth. Robin Gibb has been released from the hospital where he has been treated for severe stomach pain since October 13. 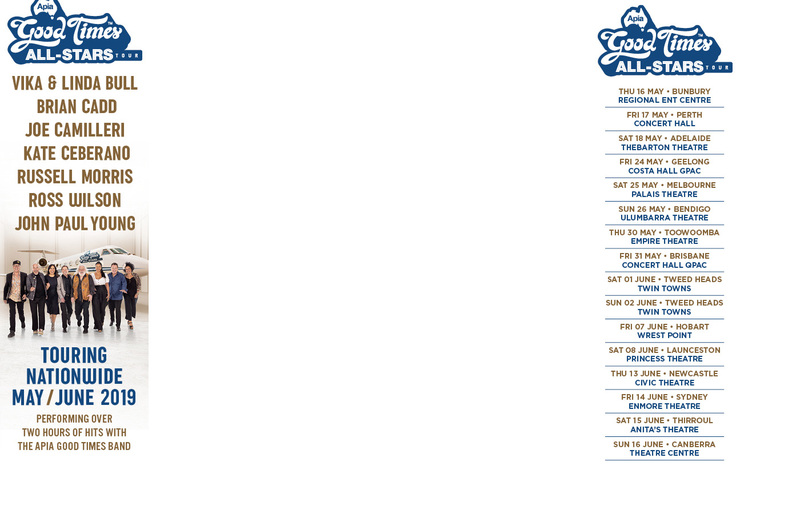 Cold Chisel have released more tickets for their Light The Nitro tour 2011. Acclaimed tenor Andrea Bocelli will release a CD and DVD of his free concert in New York’s Central Park. Britain’s Q Magazine presented awards to Bon Iver, Adele, Jessie J, Tinie Tempah in London last night. Joe Walsh has christened his new album ‘Analog Man’. French electro-pop DJ Yuksek and the hottest Aussie indie acts make up Pyramid Rock’s second announcement. The Port Fairy Folk Music Festival will celebrate 35 years in March with performances from Judy Collins, Clare Bowditch and Lanie Lane. Dolly Parton does have a favourite song. What was it? Hip-hop icon Lil Wayne announces mammoth sideshows off his Australian tour with Eminem. The New Year’s Falls Festival adds even more acts to the bill following the Lorne leg selling out. Poison frontman Bret Michaels is donating a music room to the St. Joseph’s Barrow Neurological Institute in Phoenix. Watch Sean Lennon and Rufus Wainwright perform a cover of ‘Material Girl’ for the Occupy Wall Street protests. Warning! A-Trak and Armand Van Helden have debuted a totally Not Safe For Work, repulsive, hilarious video for their new single. David Guetta has been named the number one DJ in the world by DJmag.com taking the crown from Armin Van Buuren. Chart-topper Gotye has a clip for ‘Easy Way Out’, the follow-up to his smash hit ‘Somebody That I Used To Know’. Child Rebel Soldier, the hip-hop supergroup featuring Lupe Fiasco, Kanye West and Pharrell Williams, may be over. Janet Jackson has had to cut short her sold-out Australian tour and return home to the USA for discussions with her family regarding her late brother Michael. Organisers issue a statement following US rapper Flo Rida bailing on his Fat As Butter set. Claudio Sanchez, frontman for US neo-prog rockers Coheed & Cambria, debuts his zombie-themed comic series. Dolly Parton writes her own songs but doesn’t think she is taken seriously. Rogue Traders next album will be a 2CD set featuring a greatest hits and a new studio album. On the back on their new album Mylo Xyloto, Coldplay offer their cute escapee elephant clip for ‘Paradise’.